Saturday, April 29, marks the 100th day of Donald Trump’s presidency. Many media outlets have analyzed the start of the presidency and its significance for the American people and U.S. foreign policy. Prior to inauguration, the Trump administration’s views on Africa were relatively unknown, and his moves since January 20 have shed little light on his attitude toward the continent. However, he has not ignored the continent outright. What have his first 100 days revealed about the administration’s policy toward Africa? In his first 100 days, Trump has been in contact with several African presidents to discuss the future of the relationship between those countries and the United States. The content of these conversations suggests that Trump’s focus in Africa is around strengthening security in the region. In February, Trump and President Muhammadu Buhari of Nigeria discussed cooperation on security, economic, and governance priorities. During the phone call, Trump expressed specific support for the sale of aircraft from the U.S. to Nigeria in order to support the fight against Boko Haram. Also that month, Trump and President Jacob Zuma of South Africa discussed ways to expand cooperation and trade—as well as increasing collaboration between the two countries on security issues. In early March, Trump and President Uhuru Kenyatta of Kenya discussed the state of security in East Africa, and Trump specifically praised Kenya’s efforts in combatting al-Shabab and its contribution to the African Union Mission in Somalia. The leaders talked about ways to increase bilateral trade and investment in Kenya. 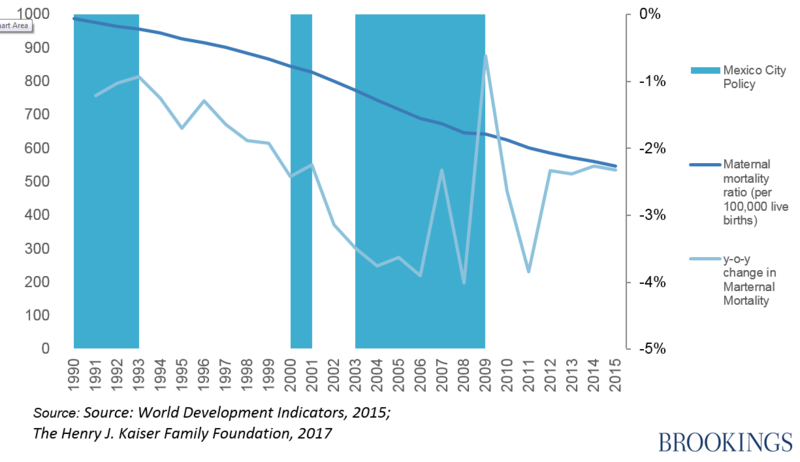 Amid all the chatter around Trump’s first 100 days, there is one notable concrete action that was taken, which could have an effect on Africa: the defunding of organizations that provide family planning services. In early April, the State Department announced that they would be ending U.S. funding to United Nations Population Fund (UNFPA), claiming that its operations violate an antiabortion policy enacted by the Trump administration. The U.S. was the third-largest donor to UNFPA, granting it $75.9 million in 2015. During his first week in office, President Trump also reinstated the global gag rule, which prevents any organization providing abortion services, information, counseling, or referrals from receiving U.S. federal funding. The reinstated rule could put women at risk of maternal mortality, in the absence of alternative sources of funding for family planning programs. In that realm, the Dutch government has raised $190 million in the aim to counter the effects of the reinstated Mexico City Policy. Maternal mortality in sub-Saharan Africa has been declining since 1990. The graph below shows that the decline was steeper in the absence of the Mexico City Policy. Removing funding to organizations that provide family planning services could increase the number of unsafe abortions. According to the WTO, unsafe abortion causes 13 percent of all maternal deaths. East Africa is presently facing the world’s worst humanitarian crisis in 70 years. Nearly 16 million people in South Sudan, Somalia, and Nigeria are at risk of dying of hunger. The fiscal year 2018 budget plans to reduce funding to the Department of State and U.S. Agency for International Development by 28 percent. In February, U.N. Secretary-General Antonio Guterres announced that $4.4 billion is needed by the end of March to avert a widespread hunger crisis in Yemen, Nigeria, Somalia, and South Sudan. The Trump’s fiscal year 2018 “skinny” budget plans to reduce funding to the Department of State and USAID by 28 percent, meaning Africa specifically will see a budget cut of 13 percent. Certain countries, including the Central African Republic, Niger, and Sierra Leone will lose all of their U.S. foreign aid. Cuts to the World Bank and the U.N. are also major pieces. The U.S. has traditionally been one of the largest donors to the U.N. The cuts in foreign assistance can significantly affect the world’s ability to deal with the crisis in East Africa. The proposed budget also eliminates the Emergency Refugee and Migration Assistance (ERMA) account. The program ensures that the U.S. has enough resources for refugee assistance. In 2014, $408.6 million was allocated to the African continent under the fund’s umbrella. A portion of the funds went toward assisting internally displaced people in South Sudan and south Sudanese refugees in Ethiopia, Kenya, Sudan, and Uganda. The funds provided the refugees with access to clean water and sanitation, food, health care, gender-based violence protection, etc… With the continuing violence in South Sudan, cutting funding to ERMA could significantly affect the fate of refugees in the region. Programs such as the Famine Early Warning Systems Network are rumored to be eliminated, as well as the Office of Women’s Issues. The Bureau of Food Security will face budget cuts of 67.8 percent. The budget also proposes eliminating funding for the African Development Foundation. The program is an independent federal agency, which supports African-led development by supporting community enterprises and providing them with seed capital and technical support. In 2016, the group invested $53 million in 500 active enterprises. Given opposition in Congress to many of these cuts, these consequences, at the moment, remain only possibilities. Overall, if his first 100 days are any indication, it is quite possible the president will follow the trend of many of his predecessors, and leave Africa to much later in his term.